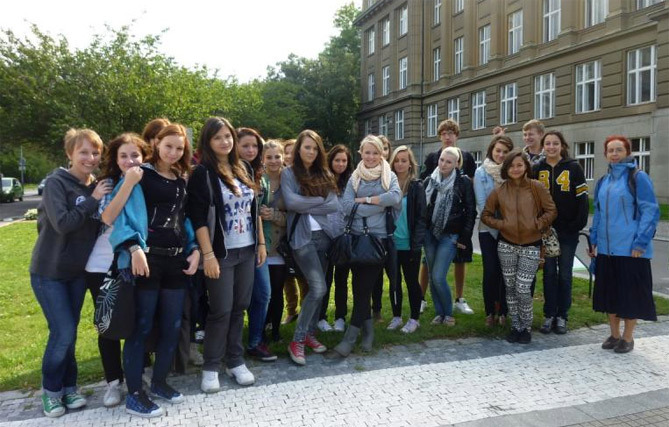 Company EuroEducation is an educational program designed for graduates of 9 classes who want a full secondary education in the Czech Republic. The main objective of the program is to enroll in school in the Czech Republic, the Czech language and the most high-quality training to further enter the Czech universities. Due to the fact that education in the Czech secondary schools lasts for 13 years after the 9th grade school leavers from the CIS is necessary to study in the Czech secondary schools for another 4 years. Certificates obtained in the Czech educational institution shall not be Nostrification and accepted in all universities of the Czech Republic and the EU, while the certificates of other states are subject to Nostrification. Nostrification involves the surrender of some disciplines. All educational institutions accredited by the Czech Ministry of Education as a private secondary institutions, and provides an excellent base for further studies in the universities of the Czech Republic. Due to the relatively small number of students, a warm family atmosphere and the teachers have time to give the necessary attention to each student. The cost of a secondary education program in the Czech Republic is 96 000 CZK (3 582 €), the beginning of the program is at 01.09.2017. What is included into price? The cost of further education is 45,000 CZK (1679 €) for the year (2nd - 4th year). Admission to the program until 30.06.2017. How to get to the gymnasium? 1. Fill in the questionare and get access to Personal Account. 2. Make a deposit for group and dormitory reservation. 3. Apply for a Visaу. 4. Come, we will meet you!